Conservative presidential candidate Jair Bolsonaro made his final pitch to voters ahead of Brazil’s election on Sunday, vowing an end to the corruption “rampage” occurring under his opponents. Bolsonaro will face off against socialist Workers’ Party (PT) candidate Fernando Haddad on Sunday. Bolsonaro defeated Haddad and several other candidates in a first round of voting this month, but not by enough to prevent a run-off vote against Haddad only. 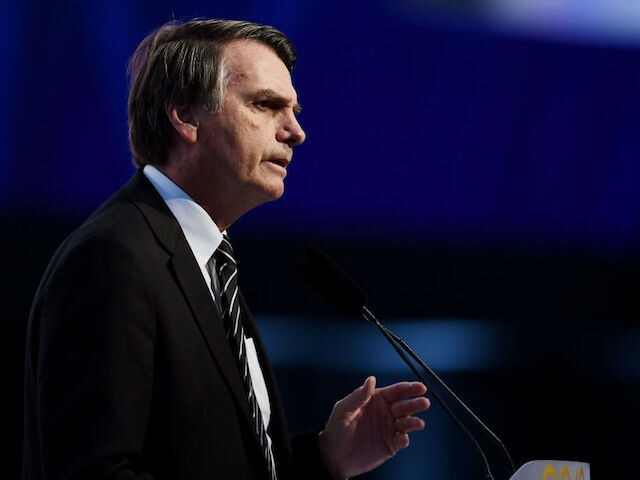 In a series of tweets on Friday, Bolsonaro urged people to put an end to the Worker Party’s corruption “rampage” and accused Haddad of faking his religious credentials and lying about his support for Nicolás Maduro’s socialist dictatorship in Venezuela. The mentions of prison are a reference to former President Luiz Inácio Lula da Silva, currently serving a 12-year prison sentence for having spent over $1 million in corrupt profits on a luxury beachfront property. Under Lula, multiple parties’ politicians engaged in what is now known as “Operation Car Wash,” a nationwide scheme to overpay private corporations on government projects, who then kicked back some of the excess taxpayers’ dollars. Lula was the PT’s presidential candidate until September despite being legally ineligible to run for office. Haddad’s first act following confirmation he would be on the second-round ballot was to visit Lula in prison for guidance on how to finish his campaign. In his Twitter statement, Bolsonaro went on to claim that Haddad would release Lula. In response, Haddad said that Brazilians were finally “waking up” to the reality of Bolsonaro, arguing he had failed to honor the Armed Forces of which he was once a member. O povo vai acordando para o tiro no escuro que é Bolsonaro. Ele chama de estratégia não ir aos debates. Eu nunca vi alguém que se diz do Exército dizer que a estratégia é se esconder, fugir. Ele não honra nem as Forças Armadas que diz pertencer. Bolsonaro’s public presence was limited significantly last month after a socialist fanatic stabbed him in the abdomen, leaving severe wounds that required surgery and forcing him to cancel several campaign stops. Bolsonaro remains the strong favorite for Sunday’s election. His victory is likely to cause severe upset among Brazil’s left-wing political establishment who have controlled the country for almost 15 years. According to polling data released this week, Bolsonaro retains a 17-point lead over Haddad after falling just short of an overall majority in the first round of voting, despite being largely unable to campaign as a result of near-fatal stabbing by a socialist opponent last month. 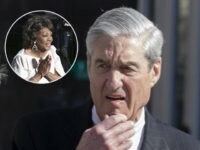 The 63-year-old former army captain’s improbable rise has long been compared to that of Donald Trump, for whom he has openly expressed admiration, despite their widely divergent political backgrounds. Should he triumph this weekend, he plans to enact a series of wide-ranging reforms designed to crack down on crime and corruption, as well as embracing a more market-based economy and closer ties with the United States.